roy orbison’s syrian doppleganger was on the royal jordanian flight from new york. his wife was complaining of the delays; he tried calming her down enough so that he could step forward and rip into the sap behind the desk. on the airplane i heard a few guys gawking together as roy found his seat on the airplane. they thought he looked like elvis. 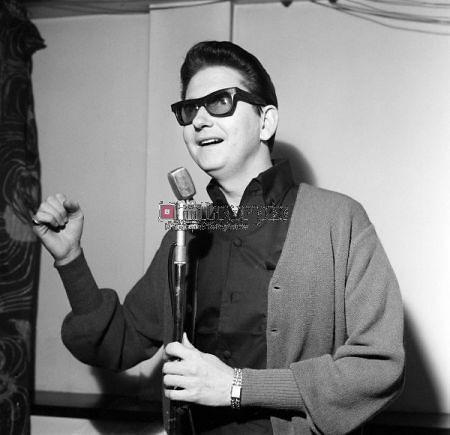 the dark shades and the black toupee helmet, to me, were all orbison. joseph is my new landlord. a teacher, he has a large grey moustache that would fit into gilbert and sullivan. he is charming, i don’t understand nearly everything he has told me about the new apartment, though i believe i retained the most important bits so far. the water shuts off for a few hours a day. “the whole city is using the same water,” he told me, so no surprise that it cuts out for some time each day. best of all he told me that the water from the sink in the kitchen, which is in the basement, is good to drink. the water for the shower, the hammam, which comes from a tank by the front door, however, is not. one of the bedrooms in the new place, which is on a quiet corner in the christian quarter, is covered is old movie posters that seem half-plastered to the wall and ceiling. one is of “scanners,” though not the image of the guy melting into nothing. david cronenberg’s 80s vision, on a wall in the old city of damascus. after i got my keys and practiced closing and locking the door, joseph told me of the church nearby that he goes to, and he mimicked a cross across his chest. a few minutes later, joseph leaned in close as we pushed down another narrow alley that was not as quiet as the last one. This may or may not be the tallest flagpole in the world. 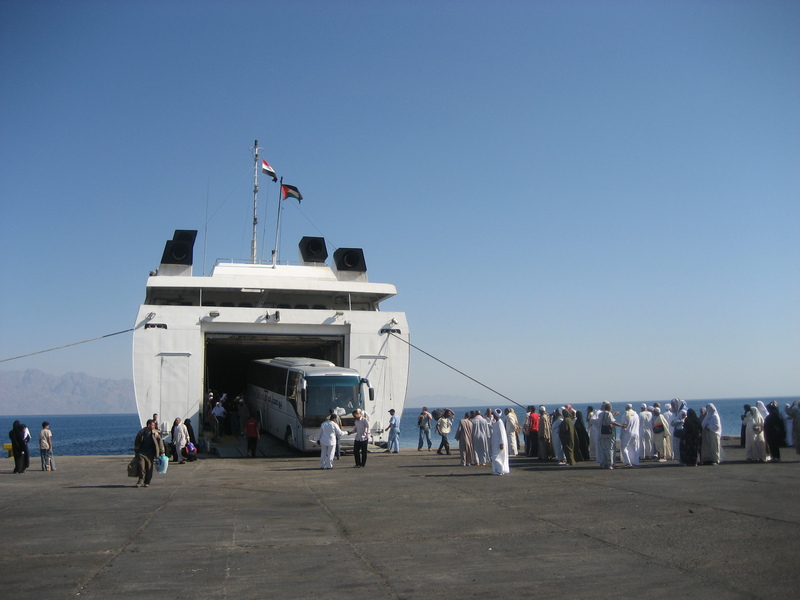 This is the ferry dock in Nuweiba, Sinai. Egypt, finally. This is a weird German colony beach camp with soft sand north of Nuweiba. The local kids were playing soccer. And this is the fastest swimmer in Ramallah. More photos on the Flickr bar on the left. This time last week I was sleeping at the Holiday Inn near JFK. “Flight 93” was playing on TNT earlier that night; the hotel was full of Jordanians and other Arabs, many with brand new biometric American passports like the new one I finally have. Royal Jordanian delayed the Sunday night flight, because of a hurricane we heard. Which one? The one that had mildly hit the northeast two days earlier, making Rafa Nadal wilt in swamp weather in Flushing? Or the one coming in two days? Either way I landed in Amman early Tuesday morning. 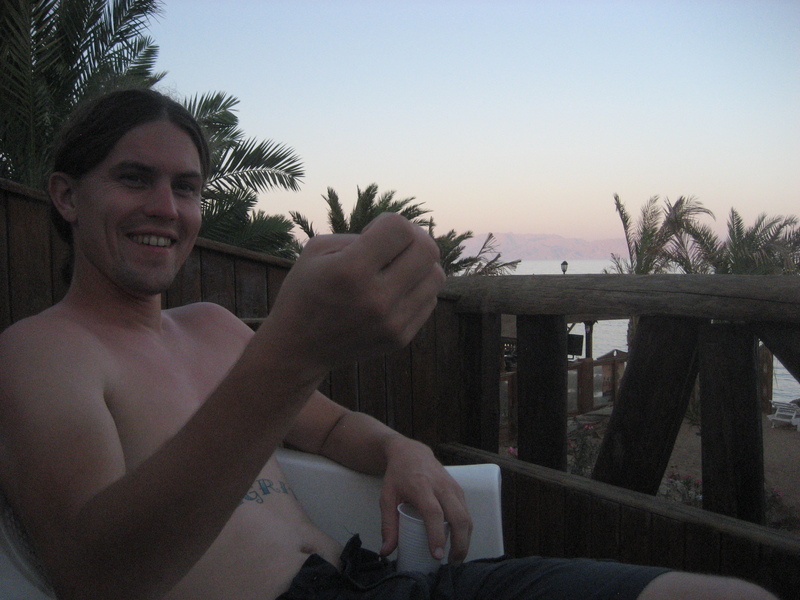 By Wednesday morning I was in a bus south to Aqaba to catch the ferry to Nuweiba in Egypt. “You want speed?” a ticket man asked me at the crumbling port building in Aqaba, which shares coastline with Eilat in Israel and Taba in Egypt. 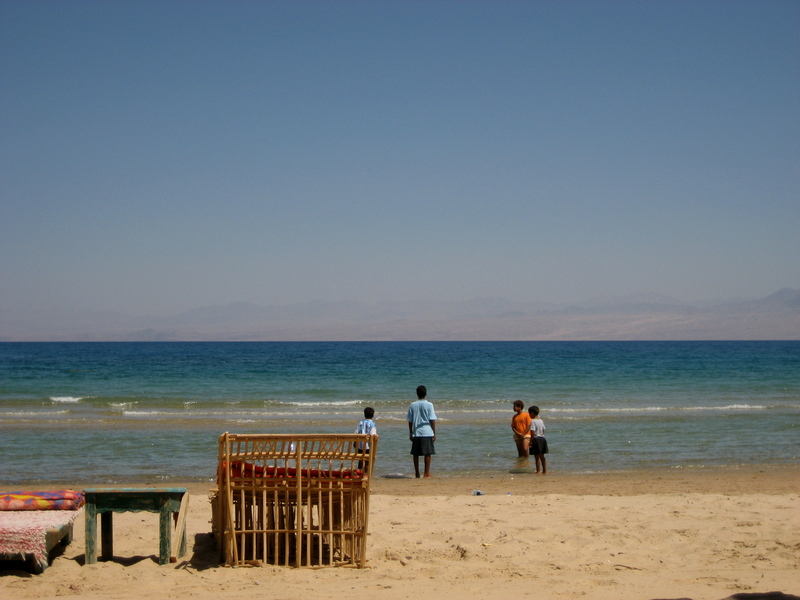 There are two ferries that run between Jordan and Egyot; the fast one is only supposed to take one hour, plus the casual but unclear waiting before leaving and after hitting port on the other side of the Gulf of Aqaba. 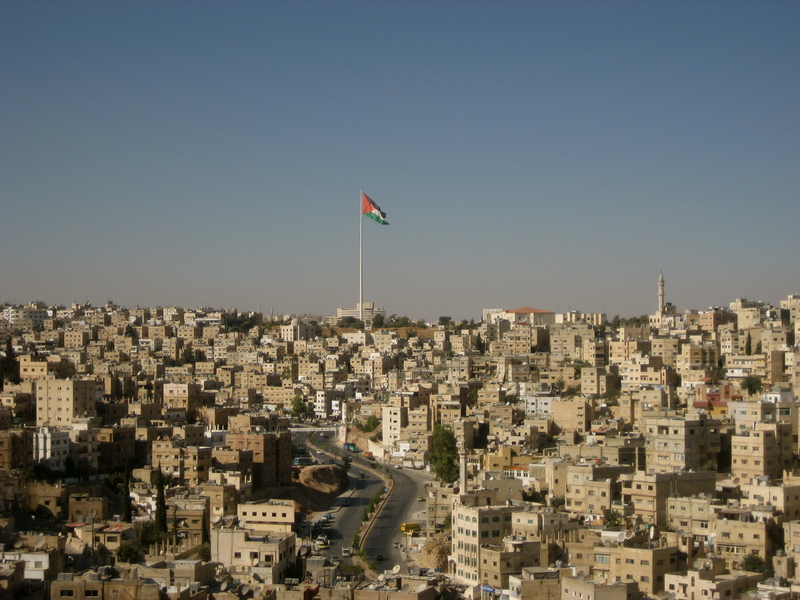 Amman and Aqaba share claims to possess the world’s tallest flagpoles. However I heard in the days since getting here and since seeing both flagpoles (impressive) that in fact Turkmenistan has the world’s tallest. And Azerbaijan, or perhaps Kazakhstan is about to out-do that. Sort of like the supertall skyscraper rivalries in Dubai, only a little thinner. Returning to Egypt invited immediate haggling. Jordanian cabs use a meter and the drivers, besides each having unique knowledge of the best hotel in town (surely better and cheaper than the one you ask them to take you to), seem to share little with their surly Egyptian counterparts. I confessed I didn’t know much about KBR. He looked surprised, then annoyed, then was silent. We looked at each other and I asked if he was from Amman. He was. 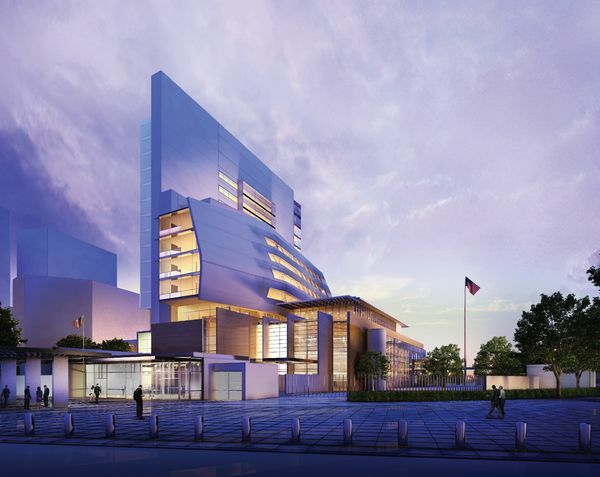 KBR is the major Ameican contractor in Iraq, building housing for soldiers. The driver said they work as police through the American army, and he was explaining this to the man from Madaba sitting shotgun next to him. He seemed stung that I didn’t ask him more about Baghdad, and I was embarassed that I didn’t know that KBR, among other things, employs more American private contractors and holds a larger contract with the U.S. government than does any other firm in Iraq.